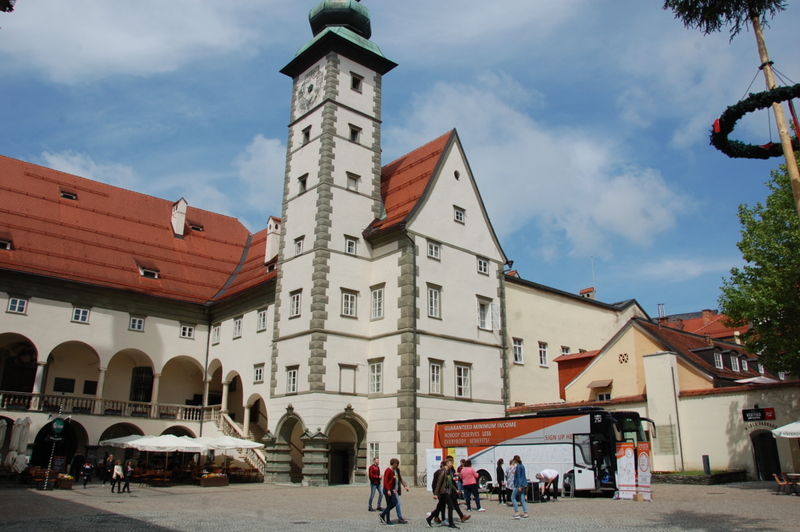 The bus stayed in the very centre of the small city at the regional government. 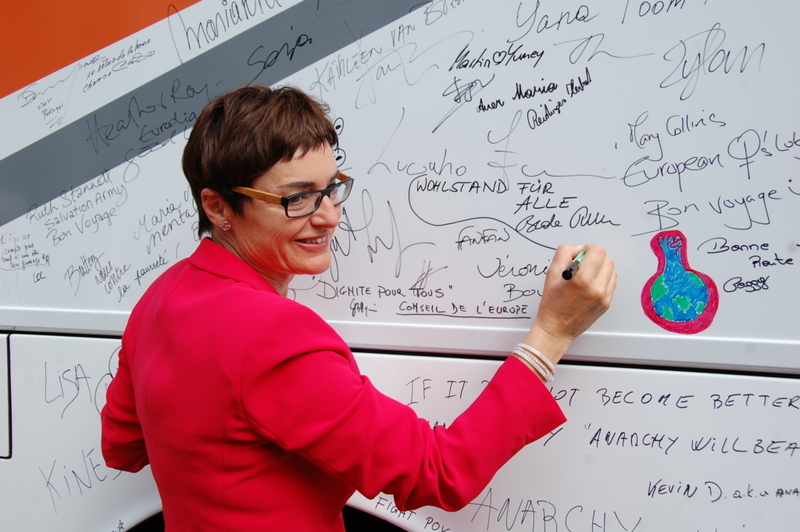 We had a press conference with the Deputy Head of the Carinthian Government and secretary of social affairs Beate Prettner, who also signed the bus. We got some media attention and a longer report in the main regional TV-News. 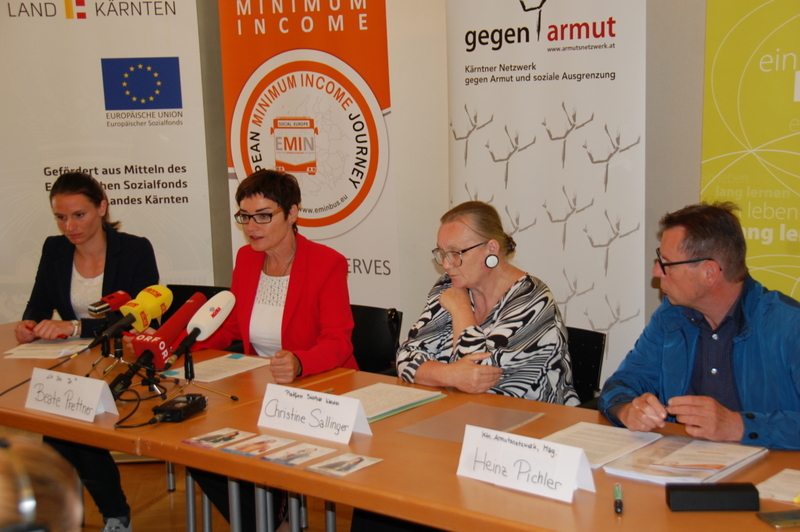 Bus heading on to the south to Slovenia – all the best for the rest of the tour from the Austrian Anti Poverty Network!